Who tops the list to date? This Philadelphia Flyers forward has the same number of assists as games played this campaign. There’s also a three-way tie for second spot. The 28-year-old Czech Republic native has been a proficient passer this season, racking up 20 even-strength helpers (tied for the League lead) to go along with 13 more on the power-play. 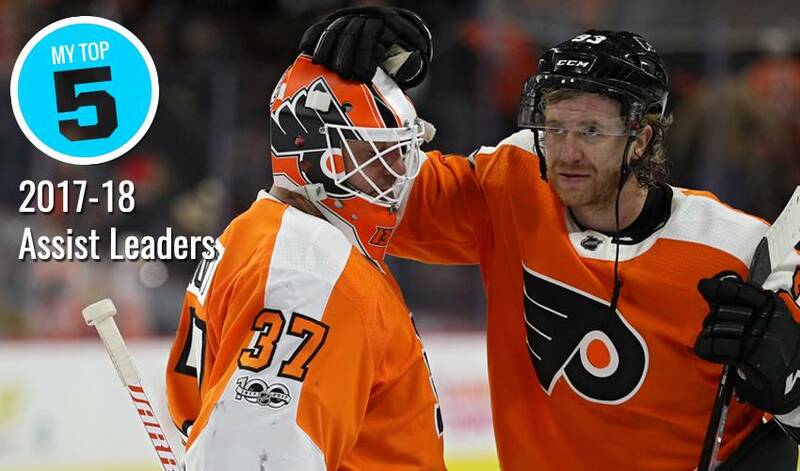 Voracek, who has played all 478 of his 719 NHL games with the Philadelphia Flyers, also has seven game-winning assists. Tampa’s superstar captain has lit the lamp 12 times this season, but No. 91 is also making his mark in the assists column, posting 31 helpers to date. Stamkos leads the League with nine game-winning assists, including two in overtime. The 28-year-old Islanders forward has been a set-up machine in 2017-18. In the midst of a phenomenal season, Bailey, who is averaging more than a point per game, is tied for the League lead with 15 power-play assists. Winnipeg’s captain has helped the Jets soar this season, as the Western Conference squad seeks to make a return to the playoffs after missing out the past two campaigns. Wheeler also has four game-winning assists and one short-handed helper. Last year’s recipient of the Ted Lindsay Award, Art Ross Trophy and Hart Memorial Trophy, McDavid is tied for the League lead in even-strength assists with 20. The Oilers captain is also tied for first in short-handed helpers with two. Just ahead of the Rogers Cup, Connor McDavid took on his sporting counterparts in a five-event face-off at Toronto’s Kew Beach Tennis Club July 26.